TANKS! The Kickstarter has arrived. I mentioned some months ago that the first expansion for Richard Borg’s Great War had been kickstarted by Plastic Soldier Company, well today it finally arrived. I say finally but I wasn’t bothered by the delays, the backers were kept informed all the way through so I wouldn’t want it thought that I was moaning. For a very reasonable price I got 13 1/100th tanks and 2 artillery pieces to play an extra 20 scenarios. 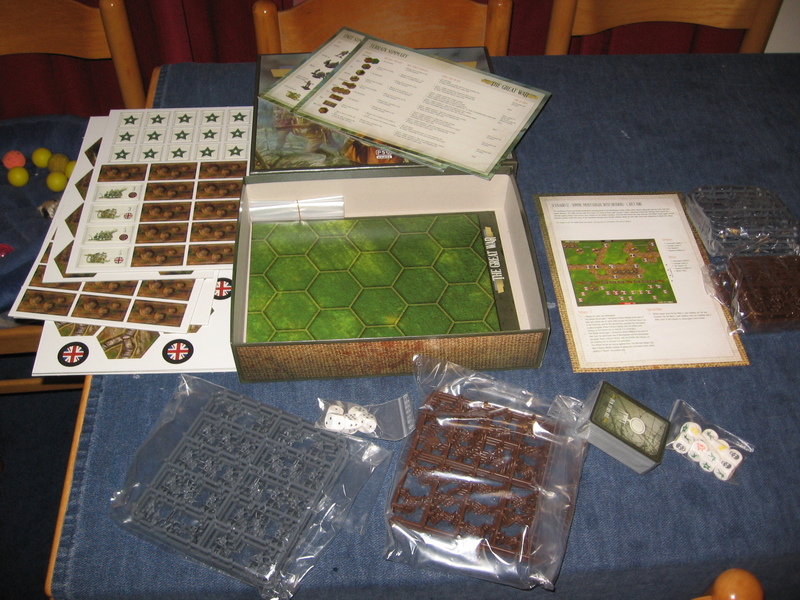 The box comes with all the extra rules needed as well as a few extra terrain tiles too. The prepainted tanks are lovely- lots of Mark IVs (male, female and beute), 2 A7Vs and 3 Whippets. I am trying to resist the temptation to paint the tracks and add a litlle weathering though. Given how much I (and everyone I’ve played with) have enjoyed the base game I can’t wait to get started with this. 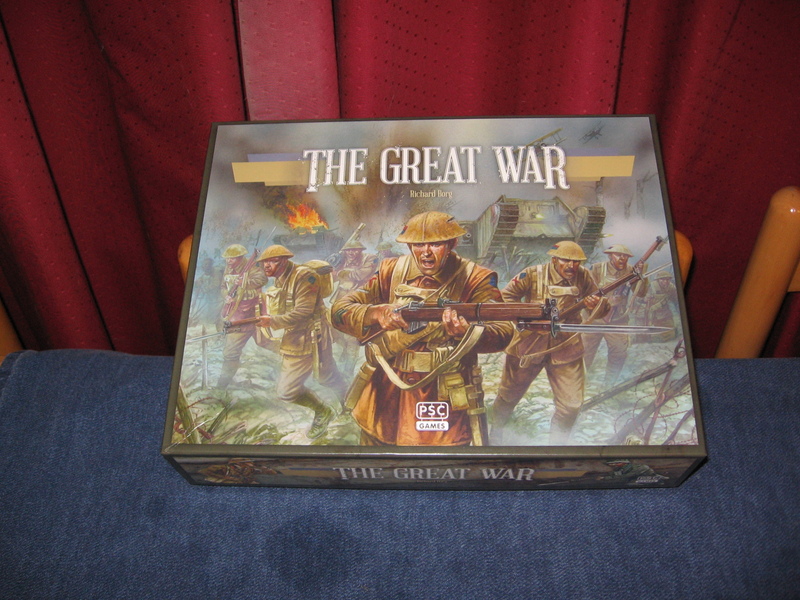 The Great War- Kickstarter boardgame arrival. Today my copy of Richard Borg’s new boardgame arrived. I backed the kickstarter and am really pleased that it arrived in the time frame stated. 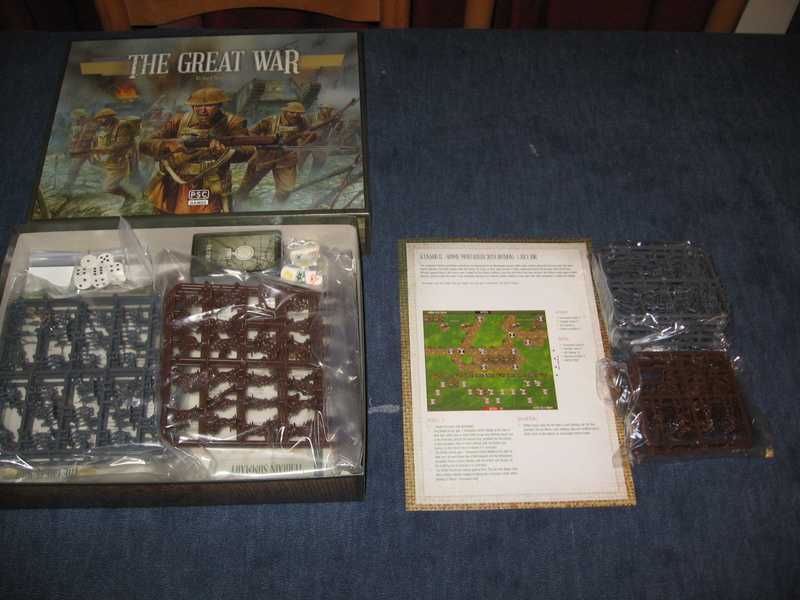 The game came with the stretch goals that formed part of the funding campaign- namely an extra two scenarios, plastic artillery pieces and white metal command figures. I haven’t had the time to have a proper look in the box but all the parts seem to be a decent quality and plenty of figures too. As they are in 15mm I’m tempted to swap them out for 20mm versions so they match the rest of my collection (and flog the 15s) though this may well depend if Plastic Soldier Company upscale the sprues as they have done with their other releases. Either way I’m looking forward to giving the game a go- hopefully it will be easy enough for younger members of the family to play it too.